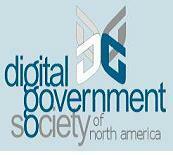 The Digital Government Society (DGS) welcomes you to the 14th Annual International Conference on Digital Government Research (dg.o 2013), set for June 2013. The dg.o meetings are an established forum for the presentation, discussion, and demonstration of interdisciplinary digital government research, technology innovation, applications, and practice. The meeting is taking place June 17-20, 2013, at the Faculty of Business Administration at Laval University in Quebec city, Quebec, Canada.